What does a typical day look like for you (if there is such a thing)? Until five months ago, I was a one-person department. I handled everything from distribution and sourcing to procurement and QA. I was responsible for setting up standards and expectations between departments within the company as well as the franchising community. But my day-to-day really varies. Sometimes I’m more focused on distribution, and other days I’m focused on sourcing. After experiencing recalls on produce, we decided to implement a food safety program, so QA is something I’ve been focusing on for the past few months. What excites me the most is problem solving. And there's always a solution—whether it’s something you know right away can be easily solved, or something you have to spend weeks or months researching. 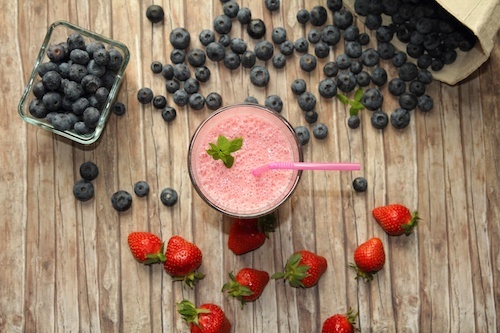 It could be as small as shipping 20 pounds of strawberries to a store that ran out, or something as significant as seeking a new source to save the system money or creating new processes to ensure continuity in supplies and cost savings for franchisees. It's exciting to me, it's like solving puzzles. That’s why I love my work so much. What was the catalyst behind your decision to invest in FoodLogiQ? We realized we needed more visibility into our supply chain—especially with regards to produce and locally sourced items. 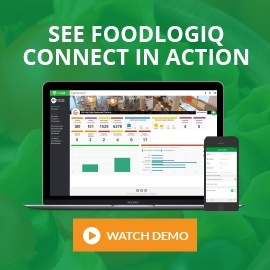 After I met Jeff Ramsaur at the PMA Foodservice conference in July, we decided FoodLogiQ was going to be a perfect match for our brand. Before that, we’d started going to trade shows and talking to people in the industry about their experiences. But, at the time, we didn't know what to look for. 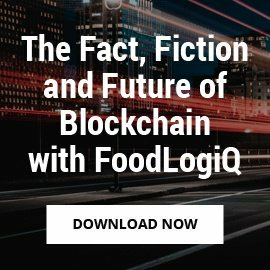 Today, we’ve realized there aren’t many solutions out there—especially not as comprehensive as FoodLogiQ. How did you make the ultimate decision to invest in supply chain traceability software? Food safety. 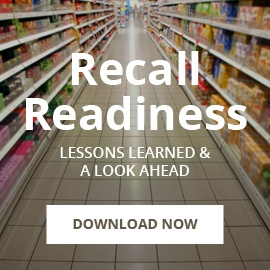 Food safety is so important, and we saw so many outbreaks at large brands last year. That's a prime example why we should stay ahead of the curve in trying to find solutions before a problem arises. Customers today are well-educated on food safety. Even though they might not always choose the healthiest option on the menu, they like knowing items are locally grown, fresh, non-GMO and all-natural. How has having better insight into your supply chain affected your business? It helps us to understand our suppliers a lot better. While onboarding FoodLogiQ with our partners, suppliers and distributors, we noticed that, while everyone says a food safety program is a No. 1 priority, implementing a program is easier said than done. We have suppliers that jump on board and say, "Yeah, we're all for it! Tell me what you need," or we'll have suppliers that say, "We're not ready for that yet." What did your relationship with your suppliers look like before implementing whole chain traceability software? We’ve worked with most of our partners for many years, and we relied on them to give us information. If we didn’t hear anything, we assumed everything was fine. Now they understand the standards we expect them to meet, and that food safety is our top priority. It’s helped build stronger relationships with our suppliers, knowing that we're in this together—and either they help us or they’re out. What sort of trends do you foresee in supply chain management for 2016 and beyond? Customers are looking for more fresh and healthy options, which means there's more pressure on restaurants to find a balance of the fresh, locally sourced ingredients—for a good price—that can be traced through the supply chain. As far as food safety is concerned, I think there’s a lot for everyone in the supply chain world to learn. Everyone works so hard to build up their organization’s brand image, and it only takes one incident to change that. Brand integrity should be the No. 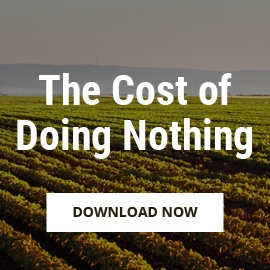 1 priority—in food safety, supply chain, marketing and everything. 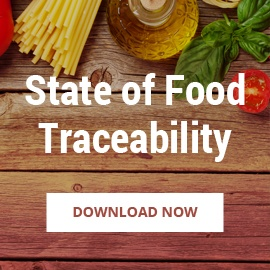 Looking for tips on how to get greater supply chain traceability implemented in your organization? 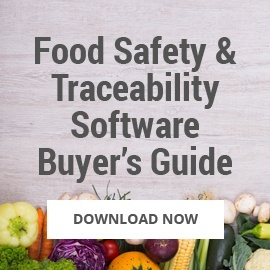 Check out our free eBook, Selling the C-Suite on Supply Chain Traceability Software.